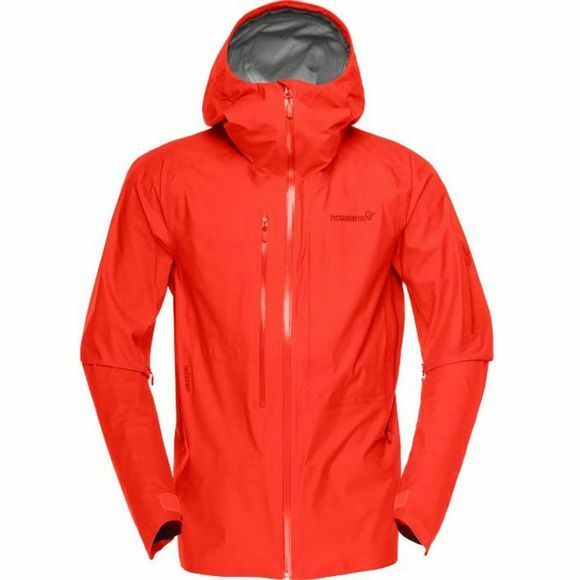 The lofoten Gore-Tex Active Jacket is our most light weight and breathable freeride shell jacket for men. Made with the GORE-TEX Active fabric, this jacket weighs under 500 grams without the removable powderskirt and provides full protection against wind and water. Other features include pit vents, a chest vent, a big stash chest pocket, radio/key card pocket, inner pocket, ultra light weight hand gaiters, ultra light weight zip off powderskirt and storm hood with a single hand back adjustment. The fabric is 30 Denier.